Technology advances and new platform creations have brought photographers new ways of sharing their news and their work. Long gone are the days of printing images and having a get together with your friends and family to share photos from your latest trip or requiring you or your client to travel to meet with you to see proofs from a photo shoot. Social media, along with many other software programs and platforms allow everything to be done online from the comfort of anywhere. It also provides a better avenue for attracting new clients and followers because there is no limit to your reach, if you share and/or market using social media in the most optimal way for your business. 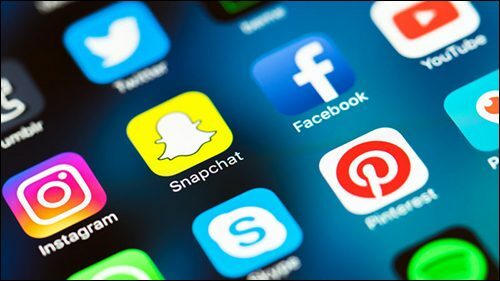 For the average, for professional photographers, amateur photographers, everyday hobbyists and even non-hobbyists, social media platforms such as Facebook and Instagram have been major platforms used to share photographs with connections and/or to be found by anyone with an interest in a specific hashtag. People share their everyday moments: where they are, what they’re doing, what they’re eating, things of importance such as objects of affections, pets or their children (not in any particular order…) I generally share retouched images from my latest photo shoots on Facebook, Instagram and Twitter – a new image 3-5 times per week. I also share a new travel photograph from my extensive collection of photographs from past travels once a day. It’s a great way to get feedback on your work. 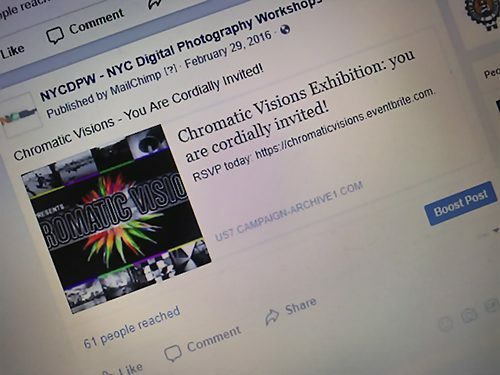 Social media platforms are also an excellent tool for promoting any upcoming exhibitions in which you may be participating. Posting an event or a notification of an event on any social media platform works just like a press release, but to a larger audience. As a photographer, artist and a curator, I’ve found posting exhibitions I’m participating in and exhibitions I’m curating drives more traffic to the event in support of my work or the work of the exhibitors I’m representing. Social media platforms are also a good way of communicating with your potential and existing clients since these platforms are where your target clients are already spending a lot of time socializing and networking. 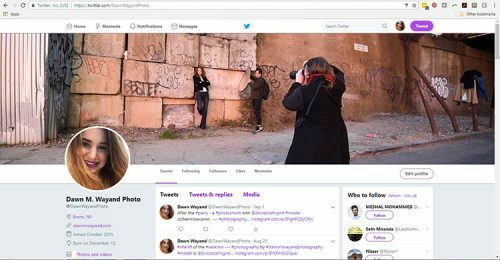 Showing you are very regular and active in shooting, showcasing your results from your shoots, updating the public on projects and exhibitions you have coming up, receiving feedback from the general public and if negative criticism – publicly providing a solution can be some of the ways a social media presence can enhance your business. Facebook is probably the most popular social media platform out there, with Twitter following behind and Instagram creeping up to second place. 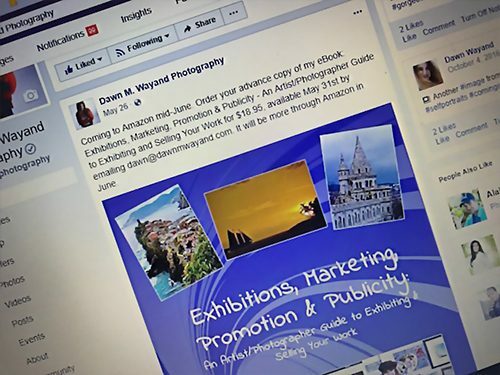 The Facebook platform has so many features – some useful, others not really – that can make for a robust business platform to connect with existing and potential clients. Your personal Facebook page limits you to no more than 5,000 followers. This is why it is a good idea to create a Facebook Business Page if your goal is to promote (and sell) your work. Facebook Business Pages offer a place to add all your business information, offers and promotions, create events, post updates and comments and add photos organized into albums. 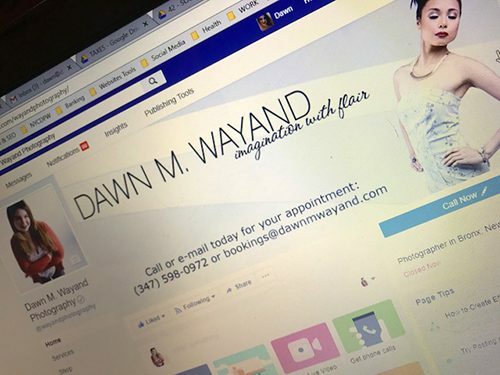 For selling your services, you can dabble in Facebook Ads to create campaigns or pay a discretionary sum for a discretionary period of time to boost any important posts you may want to highlight. You have many options for this including targeting specific demographics. 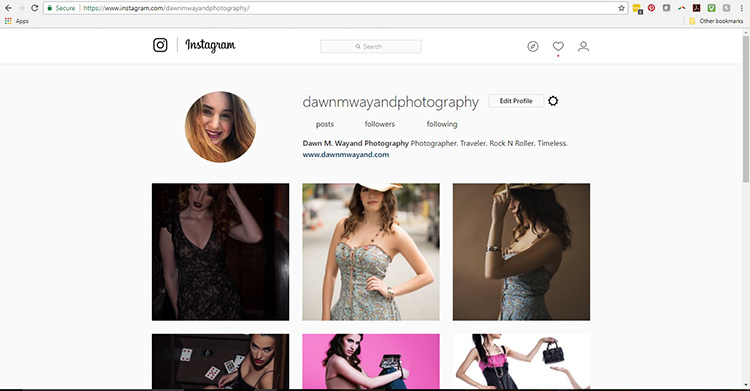 Instagram has to be a favorite among photographers as the main substance of Instagram is visuals: images. There’s rare chit chat, like what is found on most other platforms – just images and numerous hashtags linking followers and new potential followers to see your visual creations. 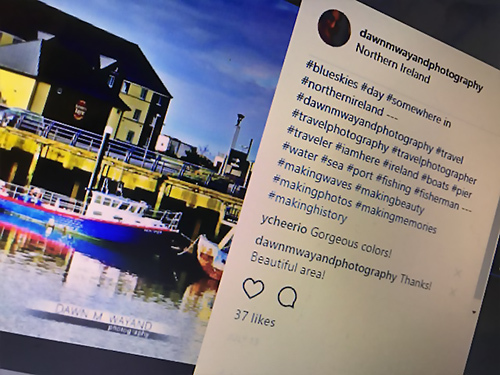 Personally, I have managed to attract more business leads through Instagram than through any other social media platform as the images speak for themselves. Just about anything can be found via Google – including your business, your images and your profile. 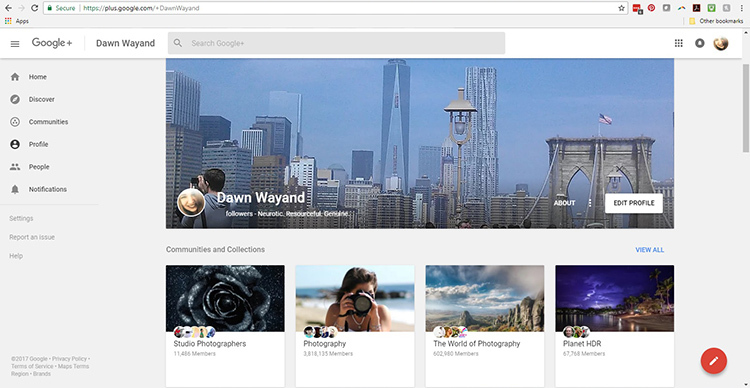 Having a Google+ page can be beneficial in several ways. Google+ offers a way of better organizing your contacts so that sharing content and images via “Circles” helps you separate what you share with whom. I’ve personally set up several “Circles” to classify my contacts and some contacts fall into more than one Circle. For instance, I have “Family”, “Inner Circle Friends”, “Friends”, “Acquaintances”, “Clients: Models”, “Clients: Headshots”, “Clients: Boudoir”, “Clients: Fashion”, “Clients: Portrait” and so forth and so on. I may want to share specific relevant content with my headshot clients, such as a special headshot session promotion, that I wouldn’t typically share with my boudoir clients, and so forth. There are also more extensive versions for larger companies that run up to $399/month, but again, it depends on the size of your company and your needs. Link shorteners are provided on all plans. 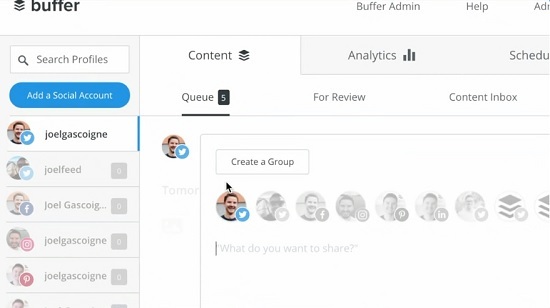 Analytics tools are only available on the larger company plans that start at $99/month. While I sometimes complain that technology and the internet are taking away a lot of personal service and communication between a business and its customers or even between people in general, I do admit that we are blessed to have a medium where we can have a global reach and global impact, a medium where you can share your work and engage with potential and existing clients or average everyday users anywhere in the world instantly. It’s important to share a little to receive a little. Share your images. Provide valuable content. Engage with users and watch your following and your business grow. The goal of many photographers is to make money selling their photography. Doing so may come in the form of a client hiring you to shoot portraits, shooting for a magazine, selling your pics through a stock photography house or creating work to sell at an exhibition or art fair or some other path getting your work out there. One of the biggest obstacles for many photographers is knowing just HOW to sell your photography. One of numerous venues where I have sold my work. Having sold over 100 pieces within my first year of exhibiting and much more since, I’ve shown my work through countless group and solo exhibitions at numerous types of venues in Florida, NYC and online. 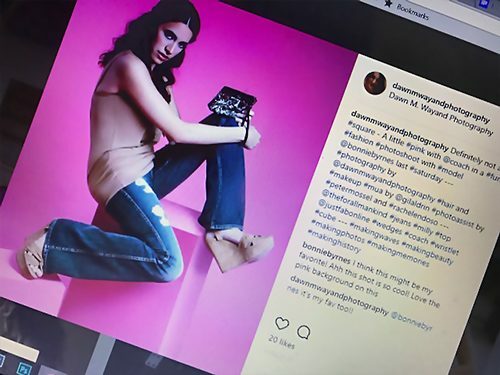 When I first started, I knew nothing about photo editing and while my work was pretty good, I attribute my fortune of doing well as an amateur at that time, to knowing how to sell – something I had been quite good at my whole life. In this article, I’m going to focus on how to sell your photography in exhibitions and art fairs, though some of the things I discuss here can actually be applied across the board. You may request more information on obtaining the complete eBook: Exhibitions, Marketing, Promotion and Publicity by clicking here. Before you set out to sell your work, it’s a good idea to set some goals for doing so. 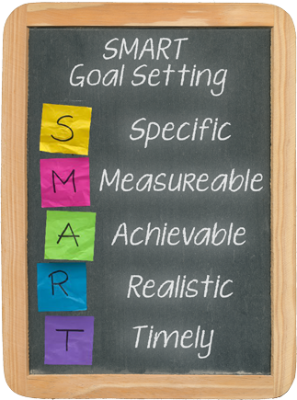 It’s important to set realistic and attainable goals otherwise if you fail to meet your goals, you may become discouraged and fail to proceed forward with achieving those goals. For instance, you may say to yourself, “I want to sell at least 5 photographs at my next gallery event.” Stretching yourself a little to achieve your goals, however, helps to make room for you to grow as a photographer. Apologizing for your work. If your work offends another person, even a buyer, don’t apologize for your work. Your work represents you and your self-expression and that is something you should not be apologizing for. Hiding from potential buyers. Don’t hide out in the back of your booth at an art fair or in an office at a gallery, get out there mingle. Answer questions, obtain feedback. This could be very invaluable. Avoiding marketplace interactions. 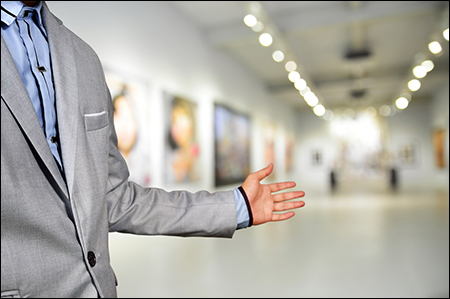 Don’t avoid exhibitions because you do not think your work is good enough to sell. Exhibiting is a great learning experience if nothing else and getting feedback on your work can sometimes take away any insecurities you may have in exhibiting in the first place. Dismissing yourself as soon as you can. When a conversation gets uncomfortable for you (such as negotiating a price), don’t dismiss yourself to avoid discomfort, you may lose a potential sale. Push through that discomfort, stand up for your work. Practice helps build your confidence with exhibiting. Juried competitions – even better. You don’t even have to be involved with a gallery to do this. Start with online exhibitions. There are many opportunities to exhibit online, bringing together artists from around the globe which I’ll go into more detail in my next article: Where to Sell Your Photography. There’s a variety of open calls for competitions and contests online. Don’t judge yourself by questioning if your photography if worthy or exceptional. Concentrate more on how to present yourself and your work instead of whether it is good enough for a gallery or museum. Keep shooting and showing because the more you are doing with your photography, the better you will continue to get – increasing your self-confidence. It’s inevitable that you’ll get feedback on your work at some point, including negative feedback, but look at these times as opportunities to develop and improve. Negative feedback allows you to learn of your shortcomings and to generate ideas to help avoid negative feedback in the future. If you don’t allow for negative feedback by denying or making excuses, you will miss the opportunity to grow. 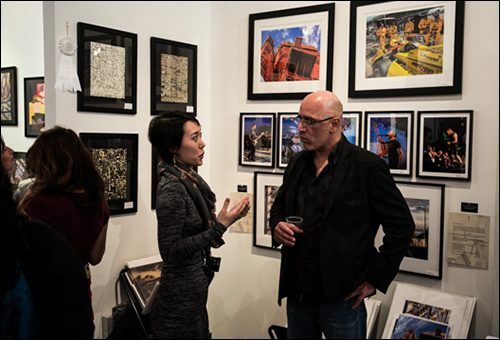 Gallery representative speaking with an exhibitor at a recent group exhibition I curated. This is why portfolio reviews are a great way to gain unbiased opinions of your work. They are not meant to make you want to quit photography, but to help you improve your photography as you go forward with shooting. There are three general sources of negative feedback: clients, gallery representatives or service providers; other artists; and viewers, jurors or media representatives. Clients, Gallery Representatives or Service Providers. Here you will be judged on your standard of work you provide, whether you make deadlines and make/receive payments. Accept any valid complaints and work to fix these problems. Other Photographers. We sometimes want to be embraced by fellow photographers and sometimes negative feedback from other photographers says more about themselves than about you. Decide if you would benefit from their feedback before accepting it. Viewers, Jurors and Media Representatives. Feedback from this group is generally based off an assessment. Try to figure out how they reached their conclusion, if possible. If their negative feedback can help to enhance your practice in the future, implement their suggestions, but if they conflict with your artistic voice – let them go. Below are some tips for actually escorting a customer to the sale. 1. Don’t tell people the features of your photography – tell them how they will benefit from purchasing it. Think of a car salesman’s pitch. What would sell you on purchasing a car, this: “…this car has the best anti-lock brakes of all cars…” or this, “you will have peace of mind knowing this car has many safety features in place for you and your family to get you where you are going safely…” How many of the keywords above did I use here? 2. 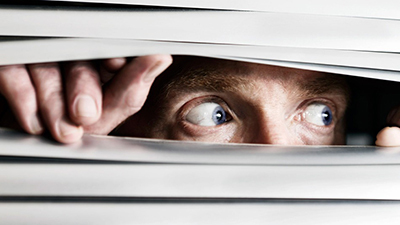 Focus on what the customer finds important – not what you find important. Step outside of you and put yourself in your buyer’s shoes. Listen! Let the buyer talk. This will help give you insight into their needs. Then relate! 3. 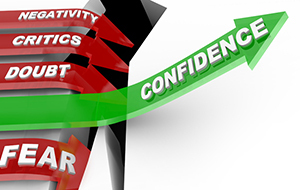 Keep your tone upbeat and don’t attack your competition. No one ever wants to hear you downing the competition. Remember, mentioning the competition plants the seed of the competition in your buyer’s mind and they may then want to check out the competition too. Out of sight – out of mind. Don’t mention it! Print Portfolio. A print portfolio should really be no more than 20 images and the images should be your absolute BEST work. Leave anything mediocre out. Need unbiased help figuring out which are your strong pieces? Portfolio reviews are a tremendous help in guiding you to put together your portfolio. Web Portfolio. Like the print portfolio, a web portfolio, typically found on your website, should be a set number of your very best images representing your work. 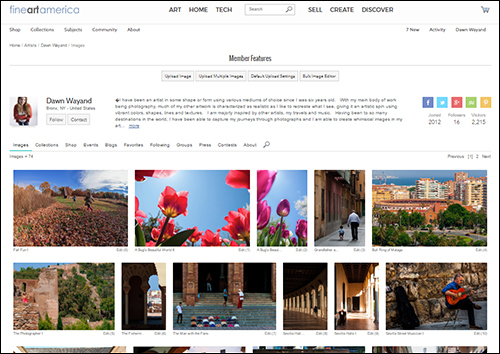 The benefit of a web portfolio is the ability to create multiple galleries by category and the ability to integrate a shopping cart to help to instantly sell your work. Social Media. In the Age of Social Media, it’s vital to use platforms like Facebook, Twitter, Instagram, Google+ and LinkedIn to share your work. Share a few images that will be displayed at your next exhibition or art fair date and include a teaser where they can see more. 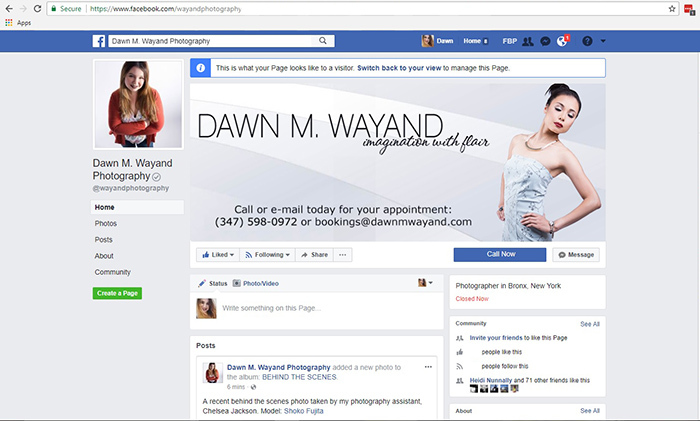 Using social media, you can direct potential customers to your website where they can purchase some of your work. There’s a variety of social media channels out there to give you a boost. Blogging. 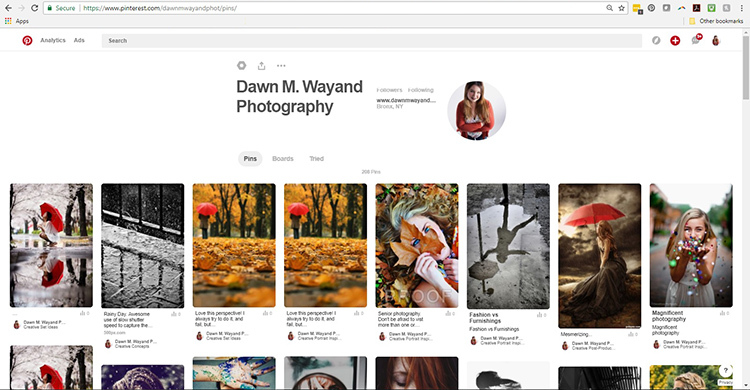 If you blog, include some of your images to help tell your story. This is a great way to build a following. Advertise your blog through your social media channels. You can blog from just about anywhere so there’s no excuse! Word of mouth promotion is some of the best promotion out there, and it’s free! Newsletter and Blog. 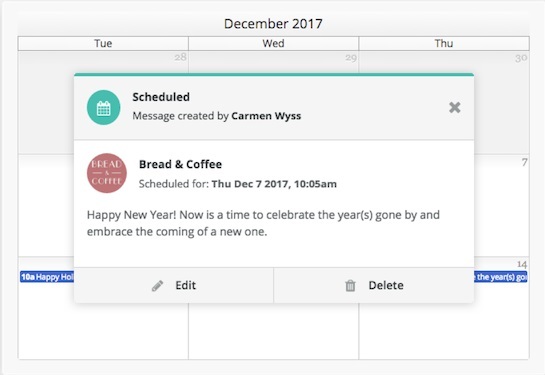 You should keep your website, social media and blog regularly updated informing your contacts of new work, scheduled exhibitions, classes you may be teaching, publications you are appearing in and any other relevant news. When you do this, there are typically buttons on the website like “Send to Friend”, “Like”, “Share” and “Comment”. 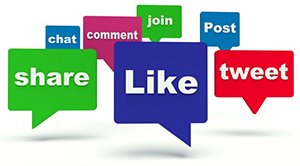 Buttons like Share and Comment are great testimonial opportunities online. There are several affordable ways to promote yourself and gain publicity. Most of these I have used personally and others are tried and true ways to get yourself noticed. Attend Gallery Openings. 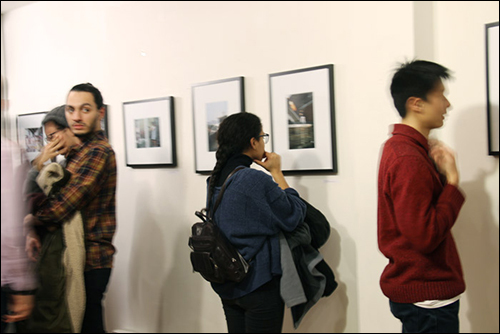 You should attend gallery openings in person,not just your own but other artists’ and photographers’ gallery openings. This is a prime opportunity to network, introduce yourself and get your name out there so people will remember you. 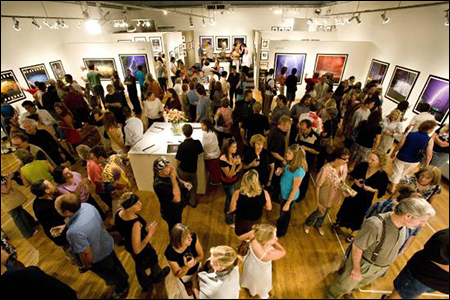 Attend as many gallery openings as you can to network. Business Cards and Flyers. 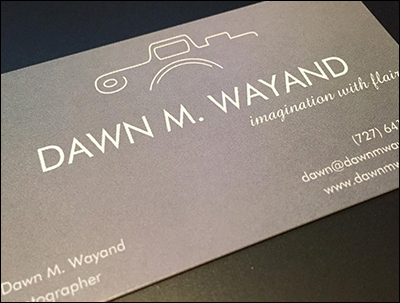 When you have an exhibition scheduled, have some professional business cards printed up (you will need these regardless) and print up some flyers and then put these out to the public on bulletin boards, community centers, art and photography classes, art and camera shops and anywhere you can post them. Be sure to include your very best image on the flyer as a type of work that represents your body of work. Get some business cards made up to pass around whenever the opportunity presents itself. Press Releases. Be sure to type up a press release announcing your next show and/or your receipt of an award or recognition and send it out to local papers and magazines. Website. Be sure to have your own website and keep it fresh and current. It’s not terribly expensive to have a website these days. Some companies offer DIY user-friendly website building with hosting inclusive for $30/month or less. Create a website or have one built. Social Media. Make sure to keep with all of your social media pages. A word to the wise here: separate your personal and business social media pages. 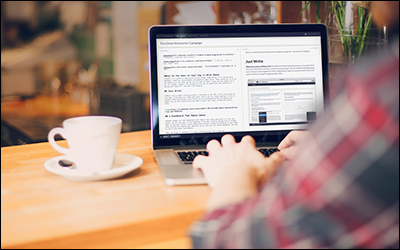 Create a business page for your business. You do not want potential clients reading your latest personal post about what you ate for dinner yesterday before going clubbing with a group of friends. Art and Photography Organizations Affiliation. Associate yourself with organizations that can increase your visibility and extend your professional reach and contacts. 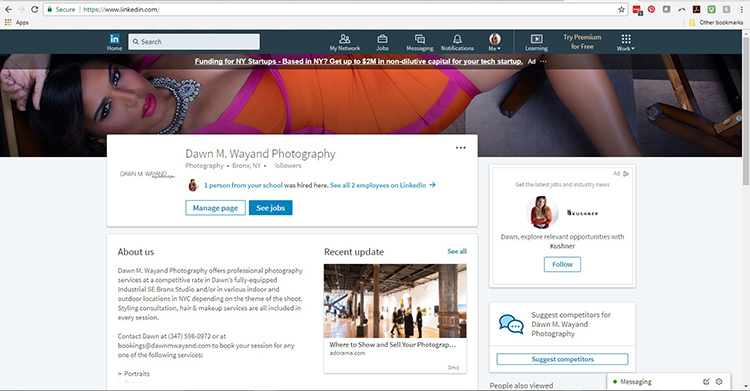 The APA (American Photographic Artists), PPA (Professional Photographer’s of America), Fine Art America and more are great tools to get listed and/or post your work for sale. So you’ve learned how to build confidence, how to deal with negative feedback, some tips for selling and some ways to promote yourself. 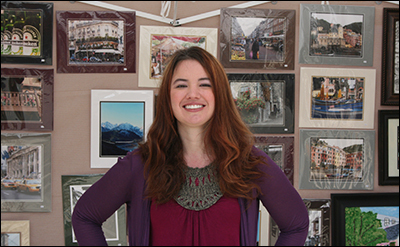 I also wanted to give you a few tips for selling at art shows, art fairs and group exhibitions as well. Make sure you know your work well and learn how to be able to talk about your work. Unless asked, try to stay away from the technical aspects of how the image was created and tell a story about the image instead. You may also mention where you took it and what inspired you to create it. Have a two-minute spiele ready, but break it up into smaller chunks so as not to overwhelm your potential customer with too much information. End each soundbite with an open-ended question, such as “what type of photography interests you?” This will provide you an opportunity to listen for the customer’s needs. Be confident enough to talk about your work. 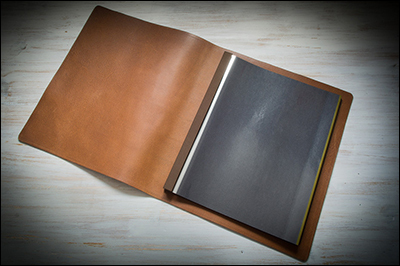 Talk about the attributes of your printed pieces that make it a piece your potential customer will want to live with. Smaller pieces for smaller spaces and larger pieces for visual power in a space. Don’t complain about how slow the foot traffic is or about a busier vendor next to you as you don’t want a potential customer to overhear you. The experience for any customer must always be positive. 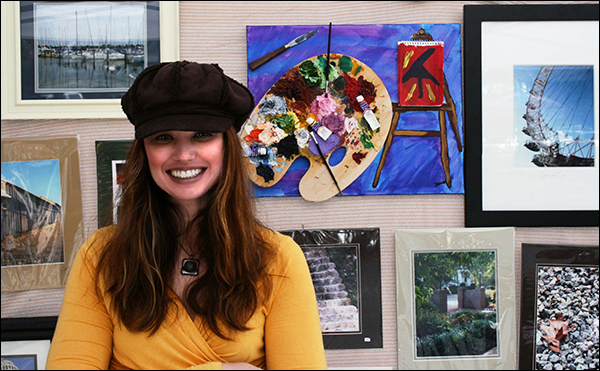 Having the opportunity to show at an exhibition or art fair is an amazing, exhilarating experience. There’s much to do in the way of preparation, but most importantly, knowing how to sell is key. It’s really important that you build up your self-confidence and be able to talk about your work to be able to sell it. Negative feedback is inevitable, but take it as a learning experience and an opportunity to grow. With these few key tips and your product in hand, you’re one step closer to a successful exhibiting experience. Stay tuned for my next article on Where to Sell Your Photography – coming soon. This is just a small excerpt of the material contained in my Exhibitions, Marketing, Promotion and Publicity workshop. You may request more information on obtaining the complete eBook: Exhibitions, Marketing, Promotion and Publicity by clicking here.